The early reviews are starting to roll in for THE CROOKED STREET. Bookreporter, one of the great book sites that every reader should be following, just chimed in today. You can read the full review by clicking here. Yes, words like that mean a lot to a writer. And yes, reviews really matter. I hope you’ll read THE CROOKED STREET yourself — and post your own thoughts on Goodreads and Amazon for other readers. That really does make a difference. 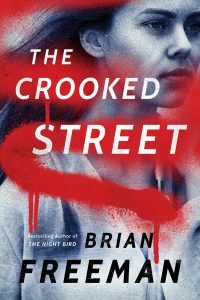 Frost Easton is back on the streets of San Francisco, and THE CROOKED STREET is available right now. You can get it in e-book, audio, hardcover, and paperback…either from Amazon, BN, or your local indie retailer. Early readers are raving about the book! Everyone in Minnesota knows January is a time for FROST. Well, it’s been a heckuva weekend for Frost Easton. First THE VOICE INSIDE was named a finalist for the Minnesota Book Award in Genre Fiction. Remember…the new book is out on TUESDAY! Is there another state blessed with such a diversity of great genre writers as Minnesota? It’s really an amazing list we have in this state. Of course, what is there to do in the winters but sit inside and think dark thoughts? 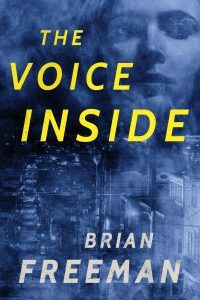 For me, I am so honored that THE VOICE INSIDE is a finalist for the Minnesota Book Award for Genre Fiction, along with books by Kelly Barnhill, Allen Eskens, and Mindy Mejia. It’s the fifth time I’ve been a finalist…wow! This recognition for THE VOICE INSIDE comes on the heels of nominations for my earlier books STRIPPED, THE BONE HOUSE, THE COLD NOWHERE, and SEASON OF FEAR. So if you haven’t read THE VOICE INSIDE yet, this is the perfect time! (And the follow-up book THE CROOKED STREET arrives on Tuesday.) Then be sure to check out all of our great Minnesota writers. For better or worse, they’re letting me out in the world again. Lots of events coming up in January and February. 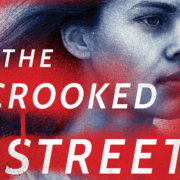 I’ve got bookstore launch events for THE CROOKED STREET in Duluth and Minneapolis, plus library visits to Eagle Bend, Sauk Centre, Big Lake, and Delano. I unwrapped my post-Christmas surprise. 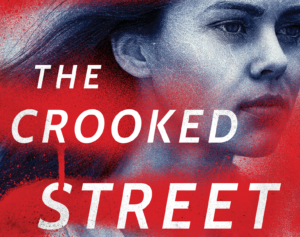 You can get your surprise when THE CROOKED STREET comes out on January 29…!